If you haven’t taken advantage of the beautiful golf weather yet this summer, get out there! Here are a few tips to help you improve your game and stay cool on even the hottest summer days. Stats aren’t just for the pros: If you’re looking to seriously improve your game, remember to keep statistics, yes, on yourself. Taking note of the fairways you hit and miss will provide valuable information about your error patterns (was it right, left, short, long?). Discuss the findings with your coach and improve your game in no time. Drive on: Feeling stuck in your swing? Remember to keep it dynamic and to pay attention to the smallest of details in both your body and your mindset. Check out a few of Henrik Stenson’s driving tips here. Stay connected: Social media isn’t just for the Millenials. Use it to your advantage and track the pros, access the latest tips, trends, and equipment. PGA.com offers a Golf Tip of the Day; YouTube is a source of helpful videos (and entertaining ones! ); and Golf Tips Magazine has tons of online resources to check out. Stay cool: During the hottest months of the summer, remember that your physical comfort is key to a good round and a good time. Dress in loose-fitting layers and breathable gear (especially breathable gloves), wear lots of sunscreen, and invest in quality sunglasses and hats. Drink plenty of water before heading out to the course, and pack some in the cart or your bag so that you can hydrate throughout the day. Then celebrate: Members can grab a drink, relax after the round, savor a gourmet meal, and pack their calendar with all the latest summer events going on at The Club at Pradera. In addition to a full restaurant, the Club offers a bar and grill perfect for post-round refreshment as well as a 3-season patio with fire pits overlooking the beautiful course.Treat yourself—you’ve earned it! We hope these tips and tricks improve your game and add to your fun on the course this summer. Now, get out there! 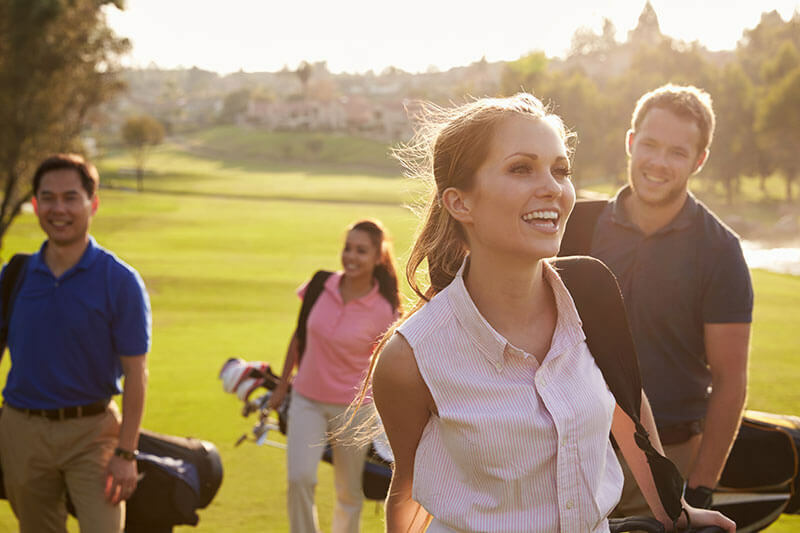 Pradera residents know that The Club at Pradera is the perfect place to practice—and improve!—their golf game. Tour the course, load up on gear and necessities at the golf shop, and check out upcoming activities and outings.